We present the guarded lambda-calculus, an extension of the simply typed lambda-calculus with guarded recursive and coinductive types. The use of guarded recursive types ensures the productivity of well-typed programs. 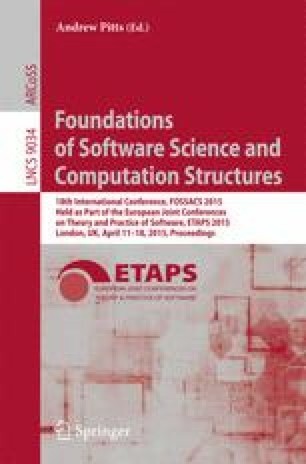 Guarded recursive types may be transformed into coinductive types by a type-former inspired by modal logic and Atkey-McBride clock quantification, allowing the typing of acausal functions. We give a call-by-name operational semantics for the calculus, and define adequate denotational semantics in the topos of trees. The adequacy proof entails that the evaluation of a program always terminates. We demonstrate the expressiveness of the calculus by showing the definability of solutions to Rutten’s behavioural differential equations. We introduce a program logic with Löb induction for reasoning about the contextual equivalence of programs.